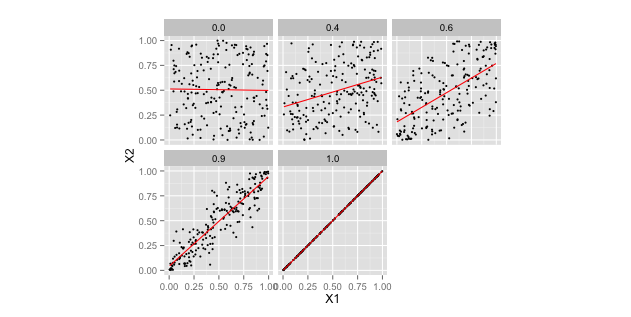 Looking just now for an openly licensed graphic showing a set of scatterplots that illustrate different correlation coefficients between X and Y values, I couldn’t find one. 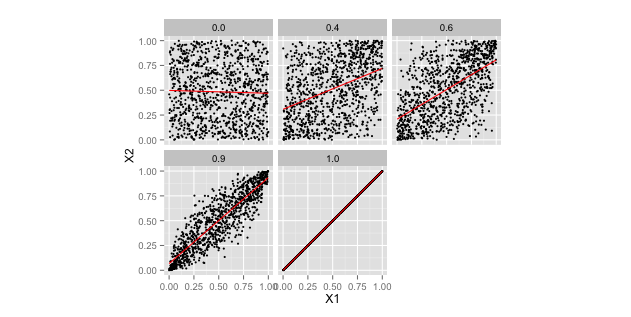 PS methinks it would be nice to be able to use different distributions, such as a uniform distribution across x. Is there a similarly straightforward way of doing that? Hmmm. Not sure about that…? Nice contribution. I will use it. Thanks. But, you know what’s not nice? 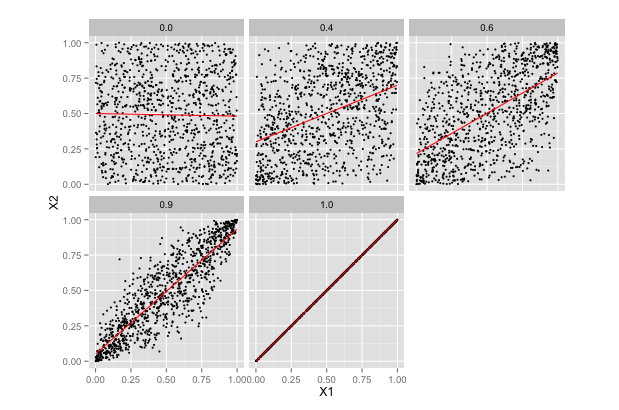 The distribution of the ratio of randomly distributed variables is not nice. The mathematical approach via Taylor Series will stop most analysts dead in their tracks. But every analyst needs to understand that a variable which is the ratio of two values, each estimated with uncertainty, such as survival (estimated survivors over estimated starters), can be surprisingly distributed and is best avoided. Can be seriously misleading if treated superficially. If unavoidable, at least recognize and acknowledge the distribution of the ratio you are bandying about. 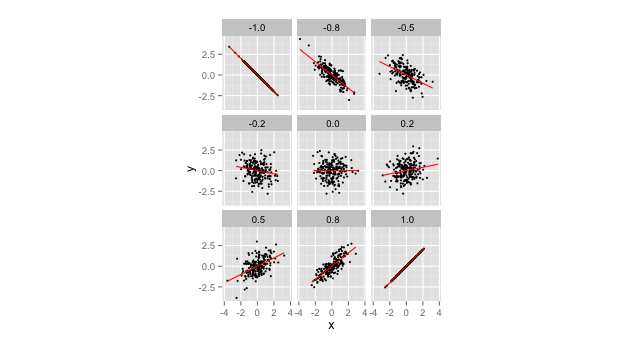 So a nifty tool like you presented, that simulates data showing how ratios are distributed, and what happens to those distributions as the shapes, scales, and correlation of numerator and denominator distributions change, would also be a nice contribution. Even then, the code I reused I have taken on trust. How about using the NORmal-To-Anything (NORTA) algorithm? That’s OK with me. Thanks for the original post! 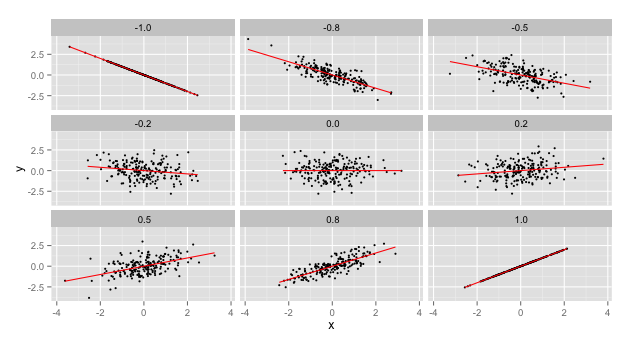 I included code that shows my output for pnorm without qunif (the second plot). Not sure why we are seeing different results.